I did it! 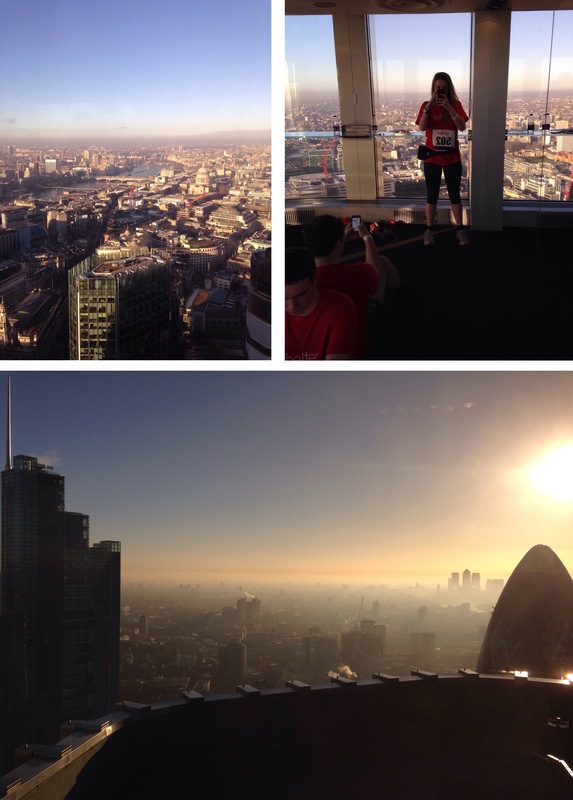 At 6:15am I set off to cycle to Tower 42 where I would be setting off at 7:30 to climb 600ft in steps (920, 42 floors). I’m so pleased with my finishing time of 8mins56, I was aiming for under 15 minutes so I smashed that! I ended up the fourth fastest girl of my group, just a minute behind the fastest. It was all worth it for the breathtaking views though – an absolutely glorious day. Then it was off to work! And with pancakes for dinner tonight, what a smashing day!